The following guidelines are an effort to help make the best possible decision when aiming at next LGMs. The conference will be all about participation. Artists and developers, feel free to bring your laptops and tablets, and show us what you can (and can’t) do. Organise a BOF about your favourite project or feature. We’re aiming for a bazaar. The conference is free to attend, and open to all. 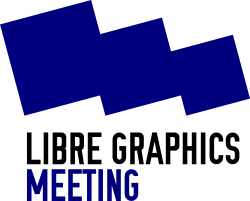 LGM will bring together developers and users of the best of free software graphics applications – GIMP, Inkscape, Scribus, Blender and more. It promises to be a fun ride, with tutorials and presentations of applications, and lots of time and space to chat, meet up with old friends, make new ones. Plans will be made, hacking and drawing will be done, fun will be had. Potential to bring something to LGM that wasn’t there before; to open up the community to participants that are currently not known.